Porcelaine series for everyday use. 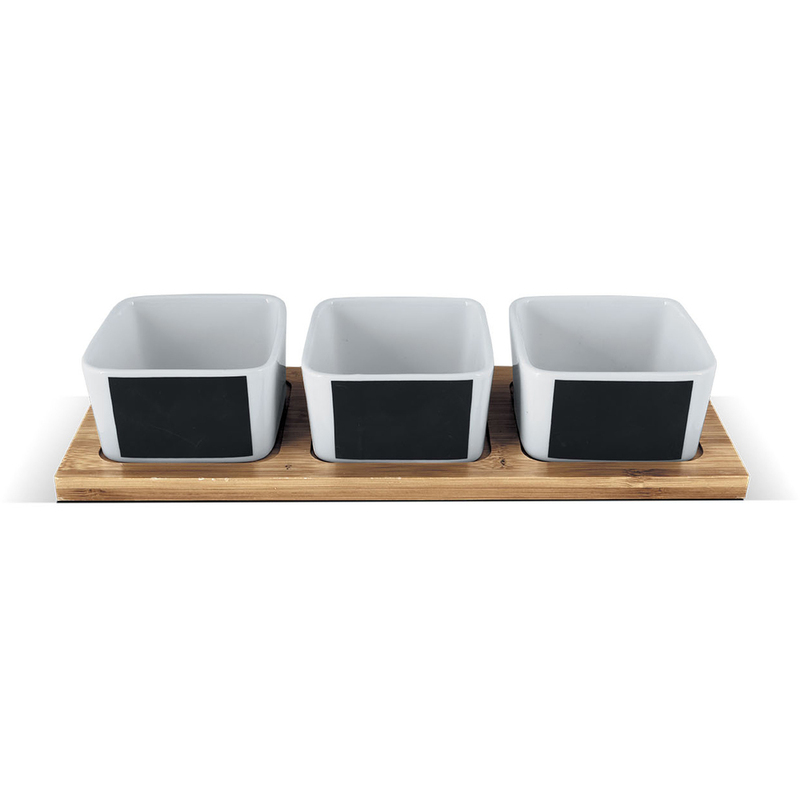 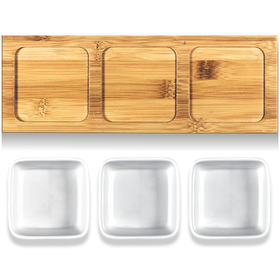 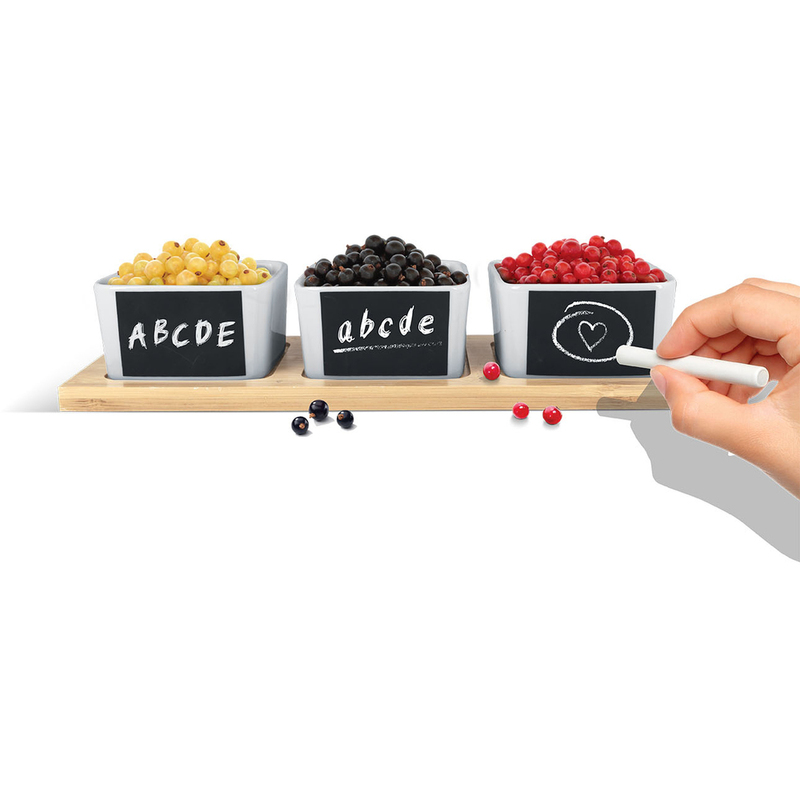 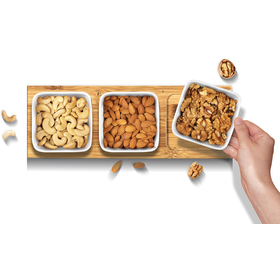 The set contains 3x bowl and a wooden tray. Writeable on the chalkboard section.